Barbadian band Cover Drive has cruised to the top of the charts with its single Twilight. 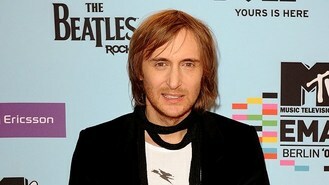 The four-piece's new release held off David Guetta's track Titanium (featuring Sia) which climbed one place to second. Last week's number one, Jessie J's Domino, dropped two places. Brighton hip hop duo Rizzle Kicks fell two spots to number four with Mama Do The Hump, while Flo Rida's Wild Ones (featuring Sia) entered the chart at number five. In the album chart Ed Sheeran knocked Adele's 21 off the top spot and into third with his acclaimed debut album +. Coldplay's Mylo Xyloto rose one place to second, while Bruno Mars's albums Doo Wops & Hooligans and Stereo Typical were fourth and fifth. This week's highest climber was British star Seal's album Soul 2, which jumped 51 places to number 17. The singer revealed this week he has split up with his wife, the model Heidi Klum. Kiss From A Rose singer Seal has admitted that his love for his estranged wife Heidi Klum has "not waned one iota". ABBA fans will soon again be saying thank you for the music with the release of a new track on a special edition of the disbanded pop group's The Visitors album. Mutya Buena, Keisha Buchanan and Siobhan Donaghy are reforming the original Sugababes. Rihanna will be among the performers at a special gala for Brad Pitt's Make It Right charity. Michael Jackson has been honoured by his family with a hand and footprint ceremony in Los Angeles. Taylor Swift is the only woman to have been nominated for entertainer of the year at the Academy of Country Music Awards. Phil Collins made a surprise appearance in Britain to support his cartoonist brother as he received an MBE from the Prince of Wales. The Sundance Film Festival became the unlikely centre of hip-hop's latest feud when actor-turned-rapper Drake and rapper-turned-actor Common came to town.